In real time audio applications such as acoustic echo cancellation in teleconferencing, it is important that filtering is done quickly and without being noticed by the users. 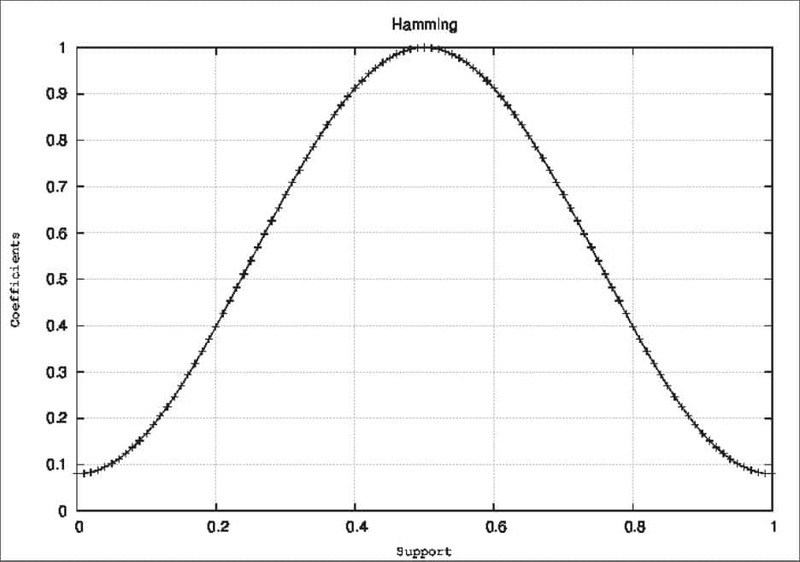 As  explains, this points to finite impulse response (FIR) filtering being ideal. Consider that a quick filter will be characterized by perceptual instantaneousness. This means that given your sampling rate, the length of your filter must be less than the length of the impulse response of the human ear. The maximum length of an audio FIR filter can be found by taking the reciprocal of the smallest critical bandwidth of hearing. Physically, this corresponds to the smallest band of the basilar membrane that any signal excites. For a complex sound like speech, this critical bandwidth illustrates how far apart different frequencies must be spaced in order to avoid masking. These critical bands are usually measured around a standard center frequency, and are spaced nearly a third of an octave apart. As frequency increases, the critical bands become wider. The smallest critical bandwidth is 100Hz centered around 150Hz, with a lower cutoff frequency of 100Hz and an upper cutoff of 200Hz . So a sampling rate of 44KHz will necessitate a filter no bigger than 440 taps. 440 taps means 440 degrees of freedom to design your filter, so there is still plenty of magic that can be done. Some of this magic is accomplished through the use of adding the constraint that the filter be linear phase. As the equation shows, regardless of what the frequency response of the input is, it is shifted linearly by ωnd, while the time domain signal is shifted by nd. Again, time delay and linear phase are inexorably linked. With this in mind, it will be useful to examine some different types of filters that will give us a linear phase response. First, we will examine an example of a linear phase FIR filter from . 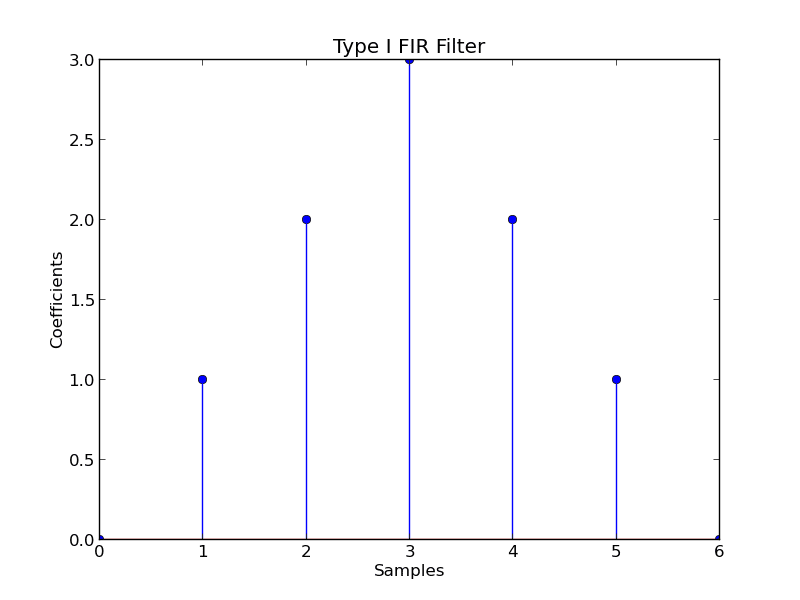 There are actually four types of linear phase FIR filters are appropriately named Type I-IV. These filters are categorized by whether they have an even or odd length, and whether they are symmetric or antisymmetric. In all cases, we will define the center of symmetry to be M/2 where M – 1 is the length of the filter. Since the filters will have essentially the same shape on either side of the center of symmetry, we can think of each as a filter delayed by M/2 . As an example, consider the first type below. This is the basic algorithm called IRLS, but it is not perfect. Seeing how am requires matrix inversions, this method will not always be stable. Instead,  discusses other procedures that improve on this method called the RUL and BBS algorithms. The basic idea for improvement comes from assuring stability by specifically formulating the weights, or formulating a recursive update equation for am. J. O. Smith, Spectral Audio Signal Processing, http://ccrma.stanford.edu/jos/sasp/, Dec. 2011, online book. A. V. Oppenheim, R. W. Schafer, Transform Analysis of Linear Time-Invariant Systems, in Discrete Time Signal Processing, 2nd ed. Upper Saddle River, NJ: Prentice-Hall Inc., 1999, ch. 5, sec. 7, pp. 298300.